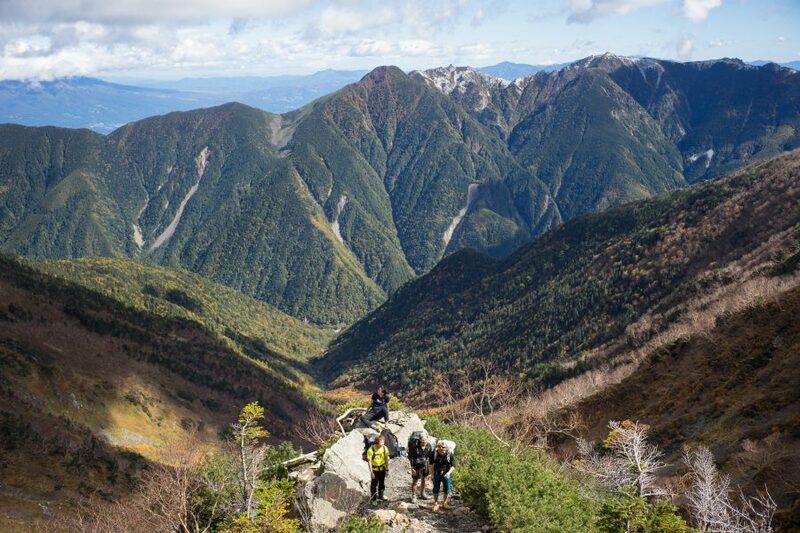 At the beginning of October 2018 I decided to climb Mt Kita (Kitadake/北岳) in the Southern Alps (Minami Alps/南アルプス) in Japan. 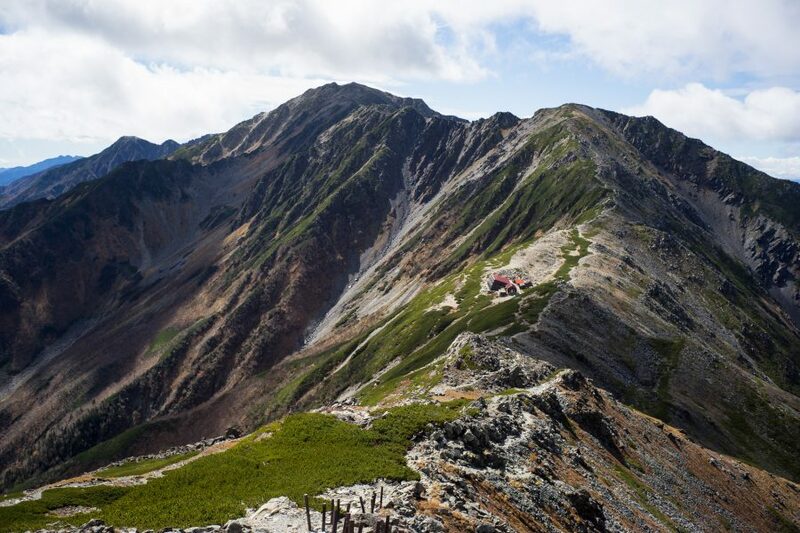 Mt Kita is the 2nd highest moutain in Japan after Mt Fuji (富士山) at 3193m with a prominence of 2239m. 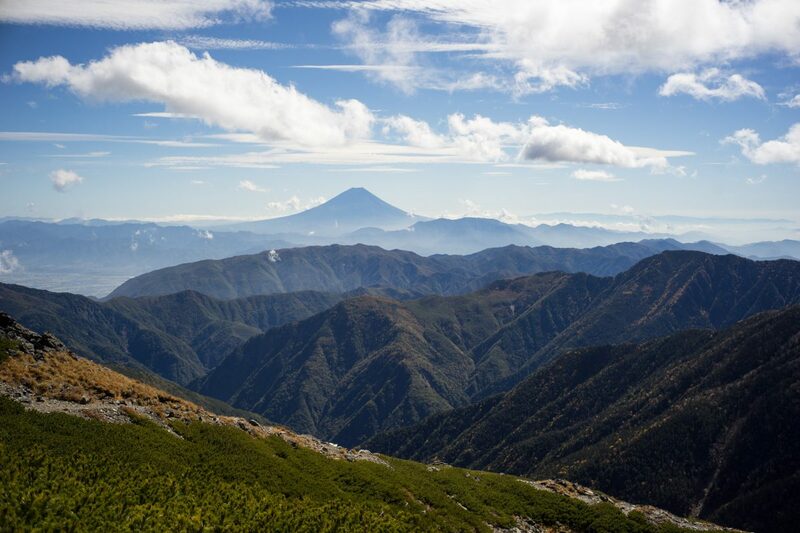 Thus, it is famous for being the “highest viewing point of Mt Fuji (富士山)”. 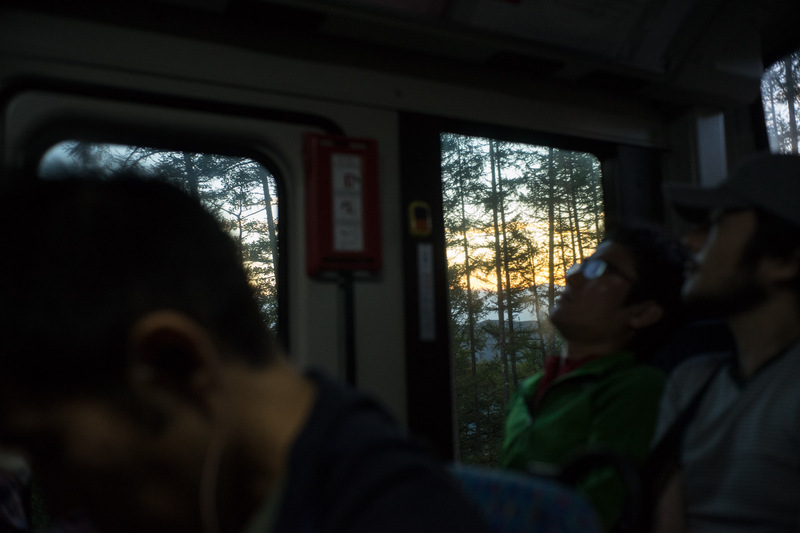 I took the last train from Shinjuku, Tokyo (新宿) to Kofu (甲府市), the capital of Yamanashi Prefecture (山梨県). 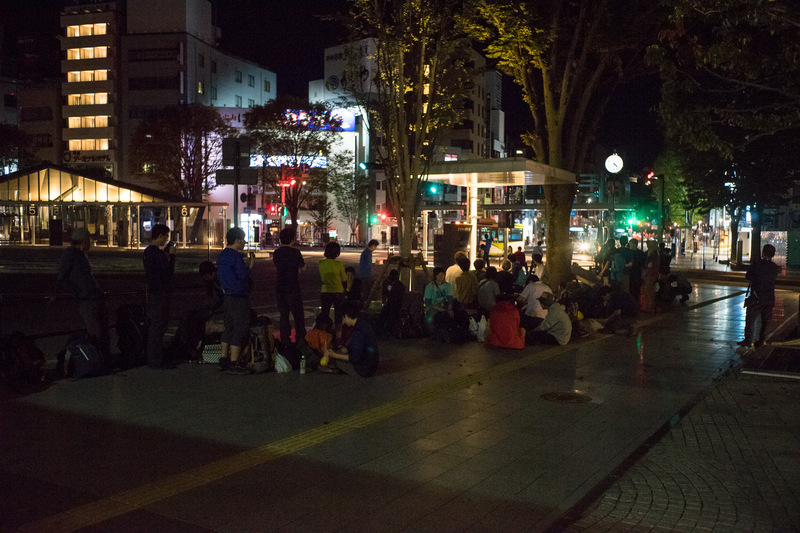 From Kofu station (甲府駅), a mountain climbing bus leaves at 04:25am (2050jpy one way) towards the trail head to MtKita (北岳). I looked for a place to sleep for a little while and ended up going to a karaoke box next to the station, which was good enough. There is a coin locker at Kofu station which doesn’t get locked down, so I stored a couple of things there, which I wouldn’t need for the climb. 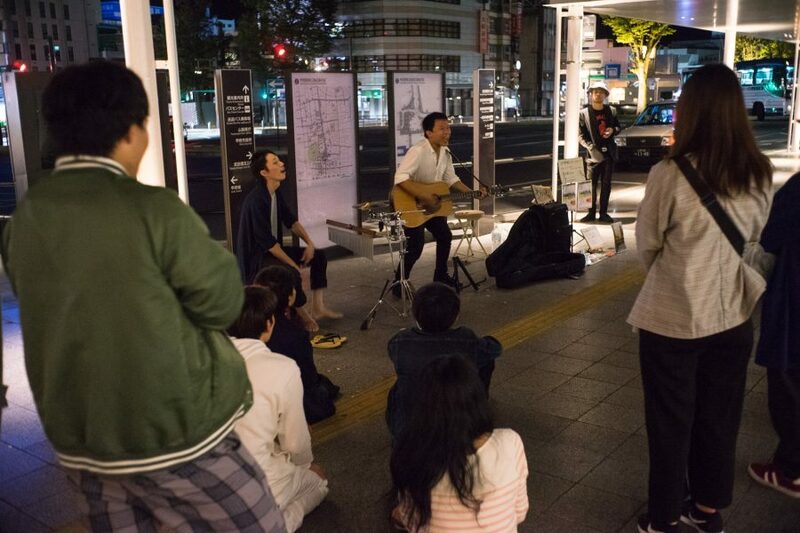 Fittingly, there was a 24h music challenge going on at the station, where a group played music for 24h straight. 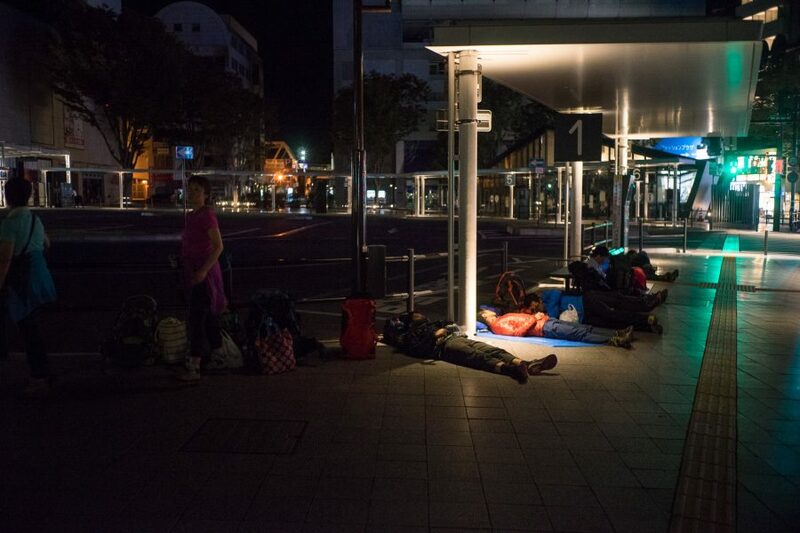 However, many people were just sleeping in the station, or actually right in-front of the bus stop…! To be first in line? In the morning, the number of people grew significantly, but we were told that at least 3/enough busses will come so not to worry. Which turned out to be true! 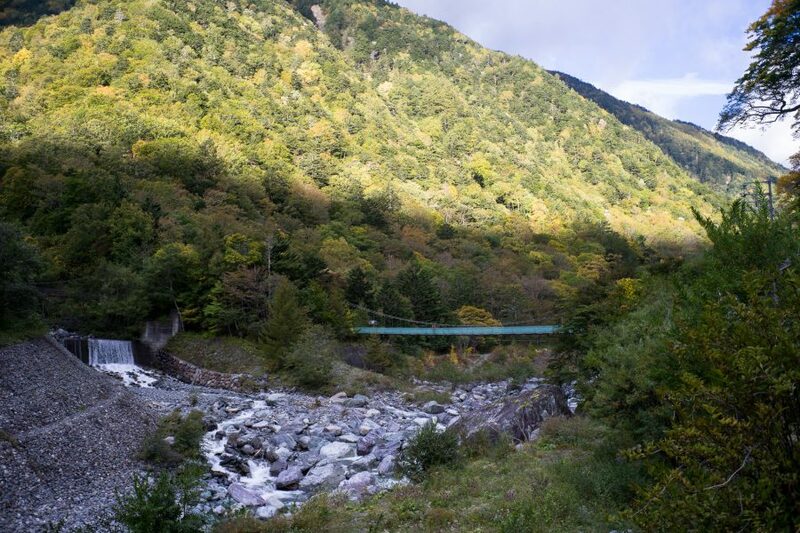 The bus ride to the base of Mt Kita takes two hours on a winding mountain road. It takes you up from 250m to 1530m. 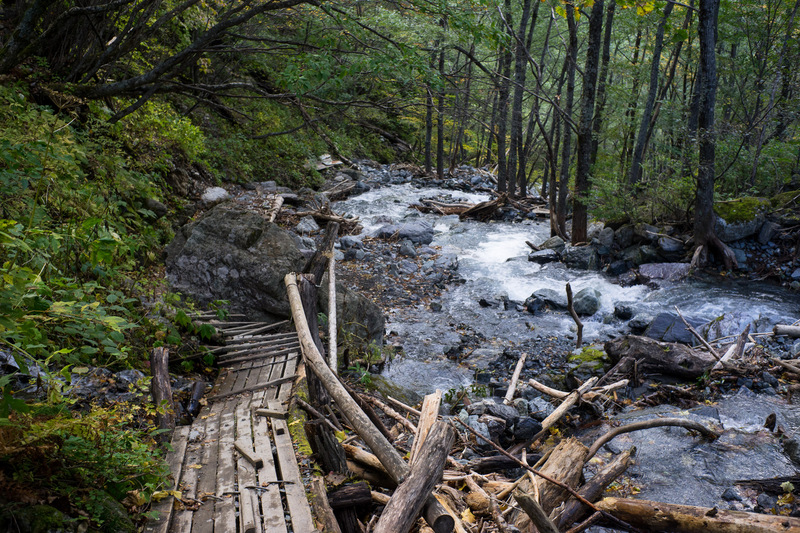 The trail follows a river very closely, first through a forest..
And at ~2000m it turns into bushes. 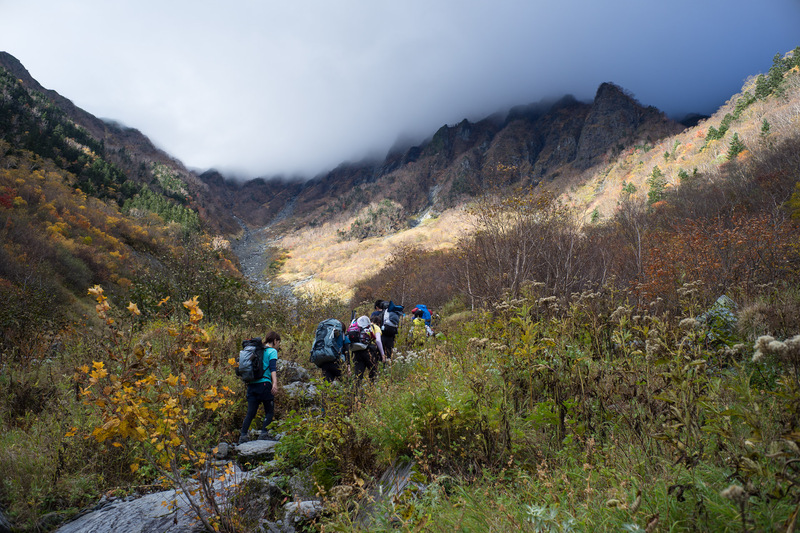 There were lots of people on the trail, some carried an incredible amount of stuff up the mountain, while others went really light weight. 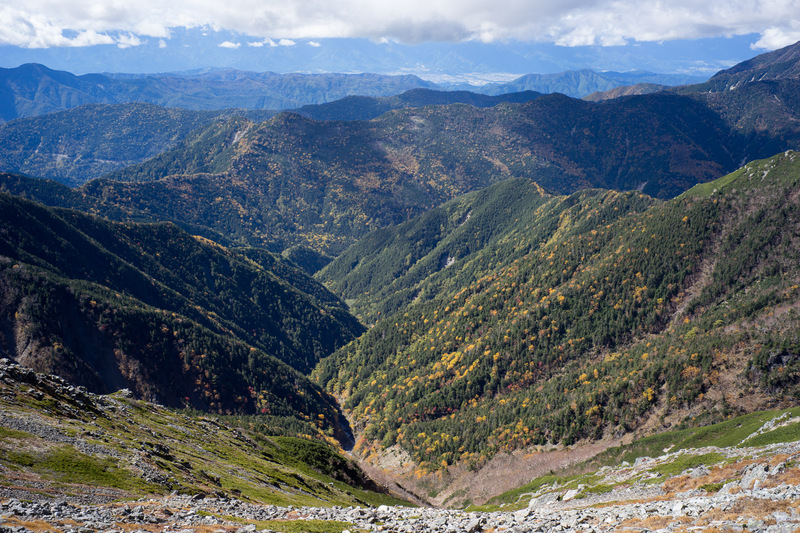 The summit of MtKita (北岳) is on the top right of the picture in the clouds. The wind was still strong but as the trail is somewhat protected from it by the mountains, that could only be guessed from the pace the clouds were moving at. Slightly afterwards, I reached the ridge. 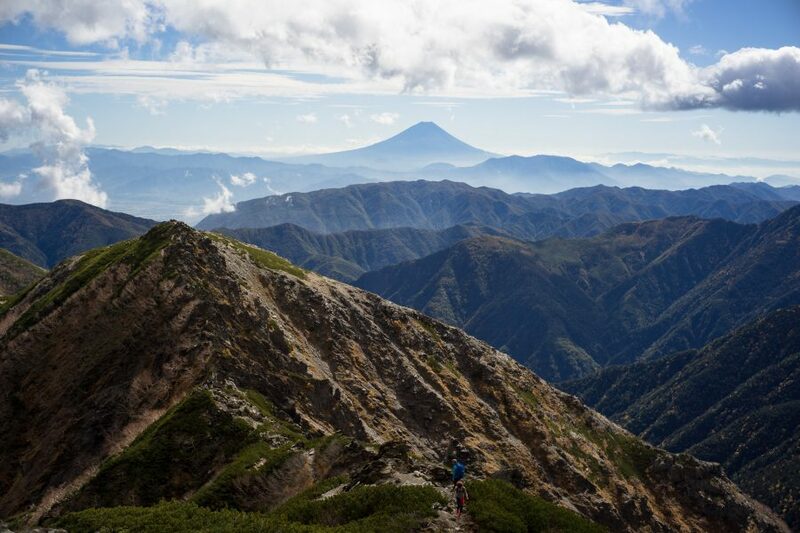 The weather was great with an amazing view, and Mt Fuji (富士山) in the backgroud (click the image to enlarge it)! 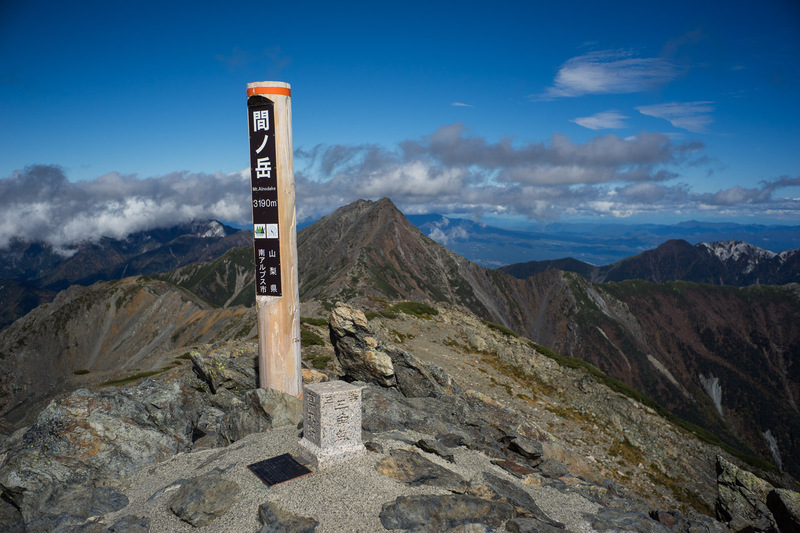 Then, there’s a fork where you can either head towards the summit of Mt Kita (北岳) directly or go towards the Mt Kita Hut (or Villa as they call it, 北岳山荘). 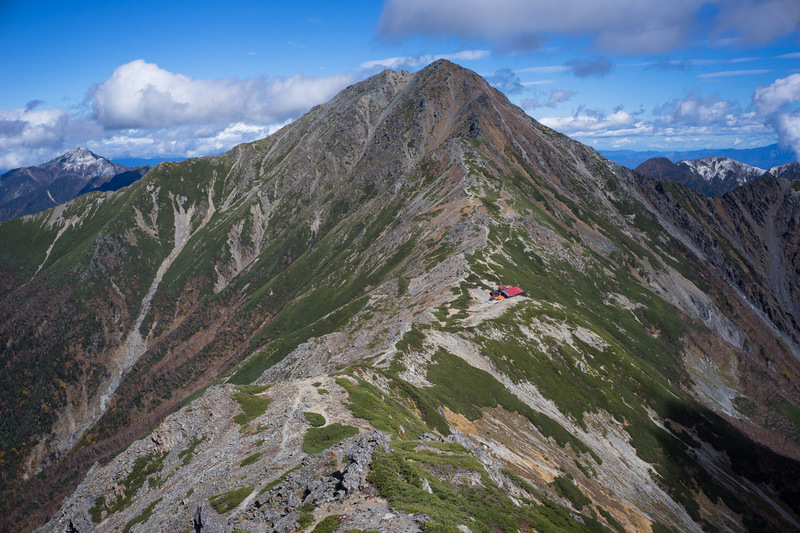 If you also want to summit Mt Aino (間ノ岳), I’d suggest going to Mt Aino first, thus to head towards the hut at the intersection. 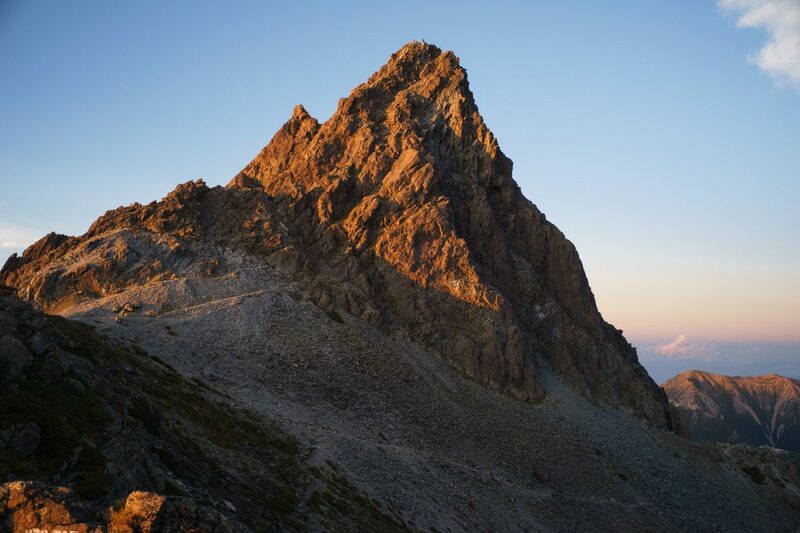 With my limited time, I made the mistake of conitnuing further towards the summit here. 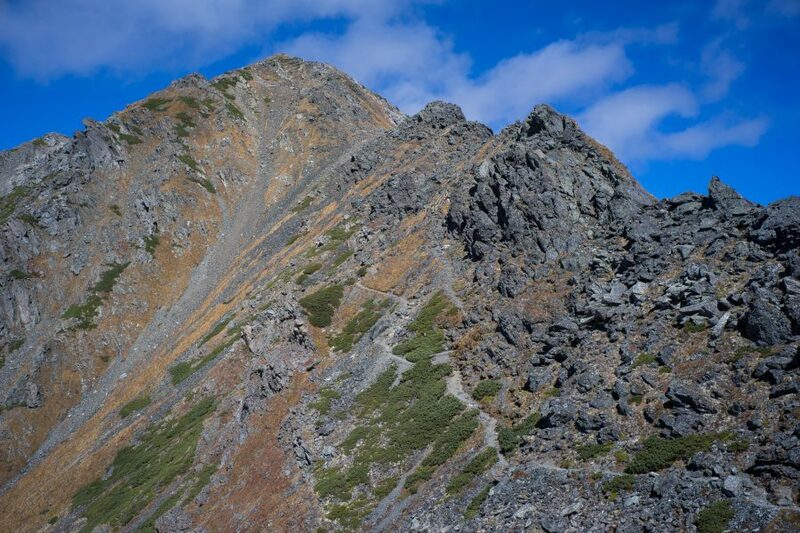 I came to the next junction, where the actual summit ridge starts. 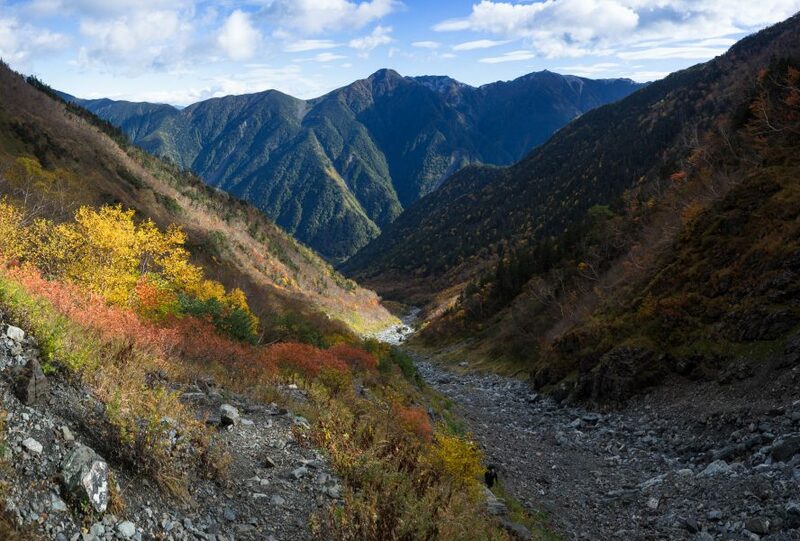 Once I arrived there you could see down the other side of Mt Kita and it was very exposed. 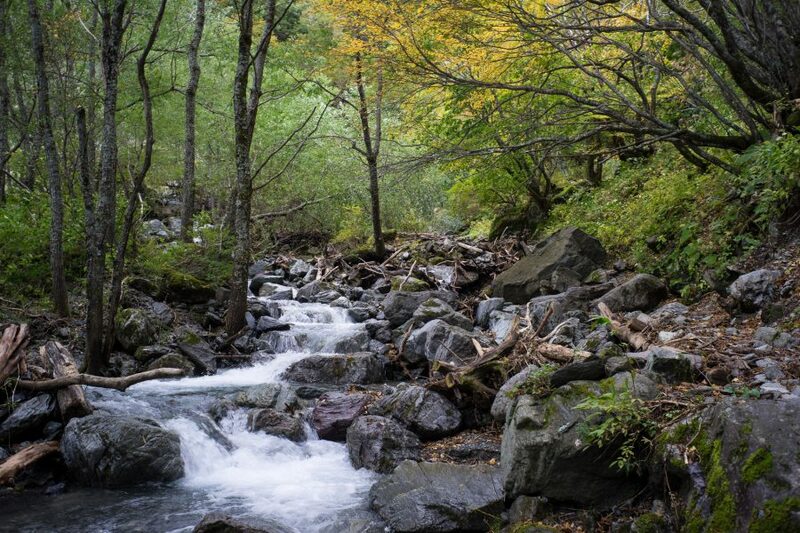 Due to the Taifun the day before, the wind was extremely strong…! 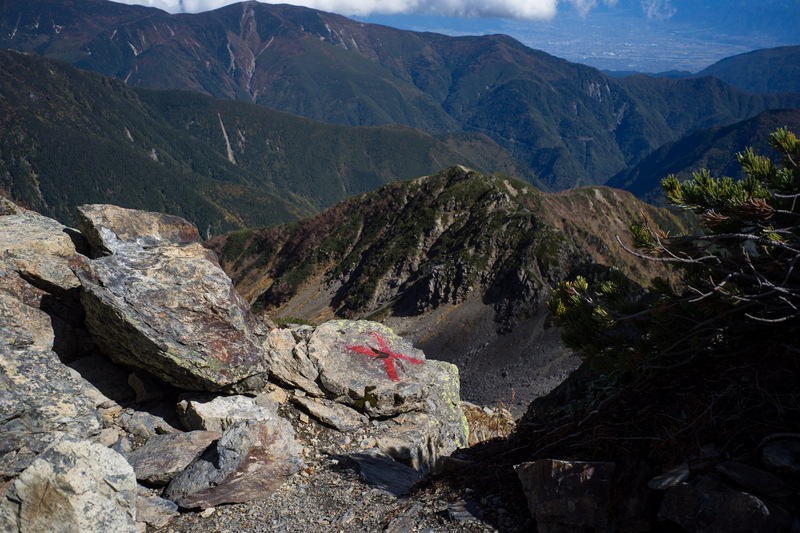 It was only 10:30am so, I now decided that I actually might have enough time to also climb Mt Aino too and then come back for Mt Kita. After some pondering I decided on a turn-around time to definitely make it to Mt Kita’s summit and still be able to catch my bus at 16:40 towards Kofu. 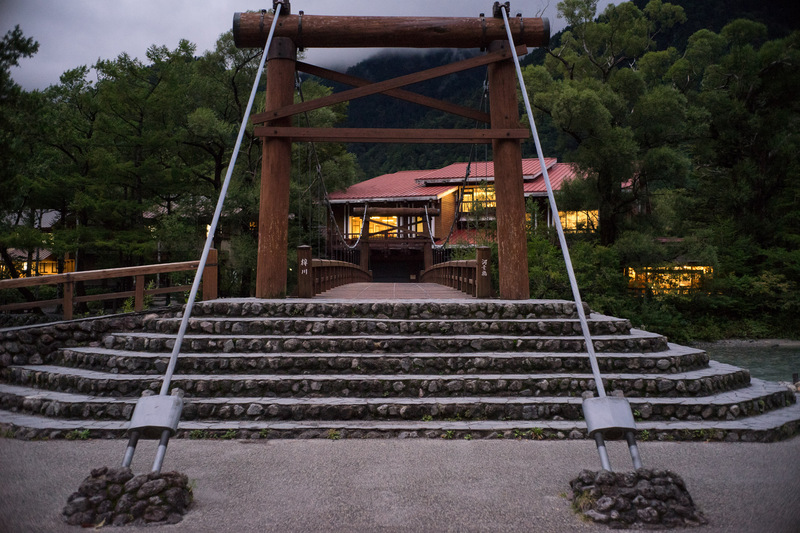 The weather changed extremely quickly due to the wind, revealing a stunning panorama of Mt Aino and Kitadake Villa. From the junction it’s about 3.6km to the summit of Mt Aino. 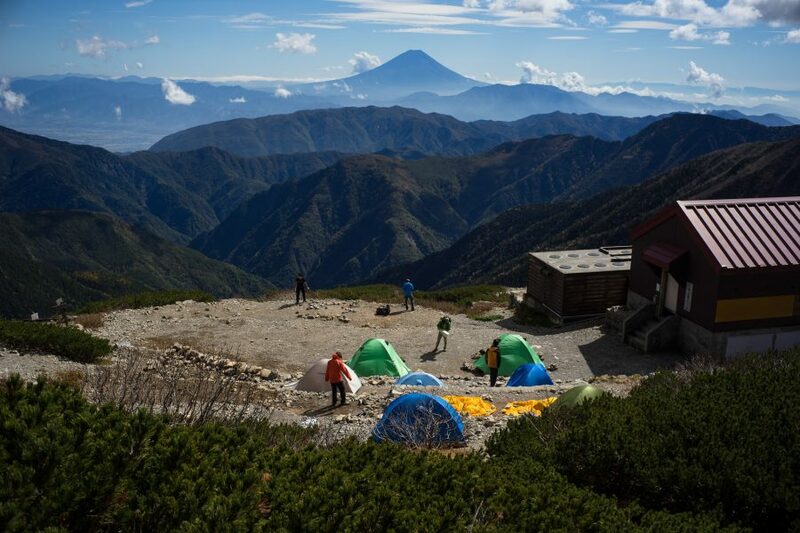 The hut also has a camping ground with agreat view of Mt Fuji (富士山). 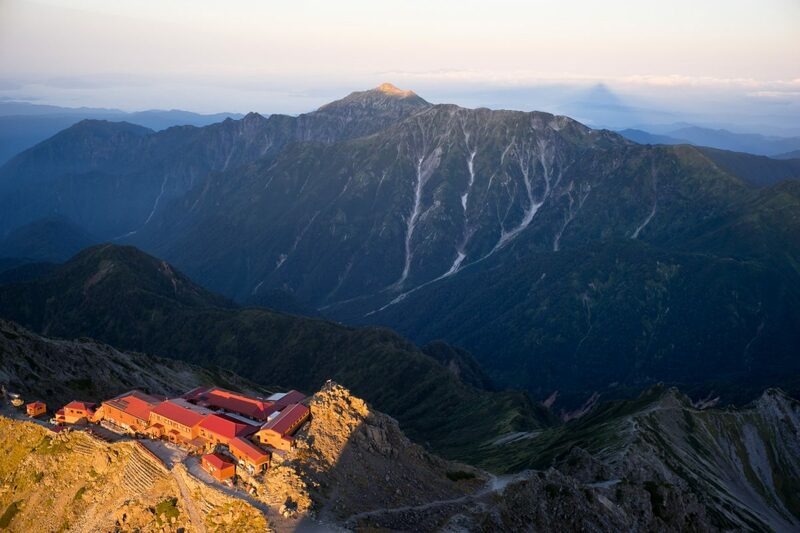 Should you come here, I’d recommend camping instead of staying at the hut, as the Japanese-mountain-hut expereience is not that joyful, especially considering the high price. 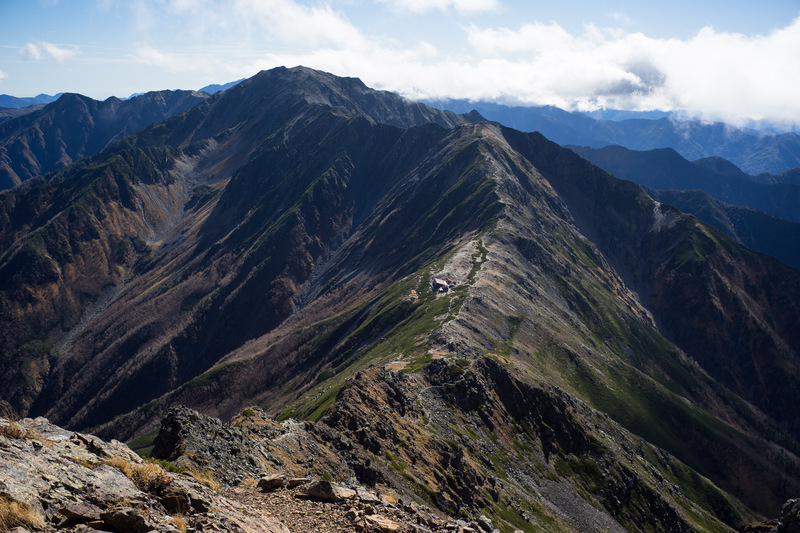 View back towards Mt Kita and the hut in the foreground. 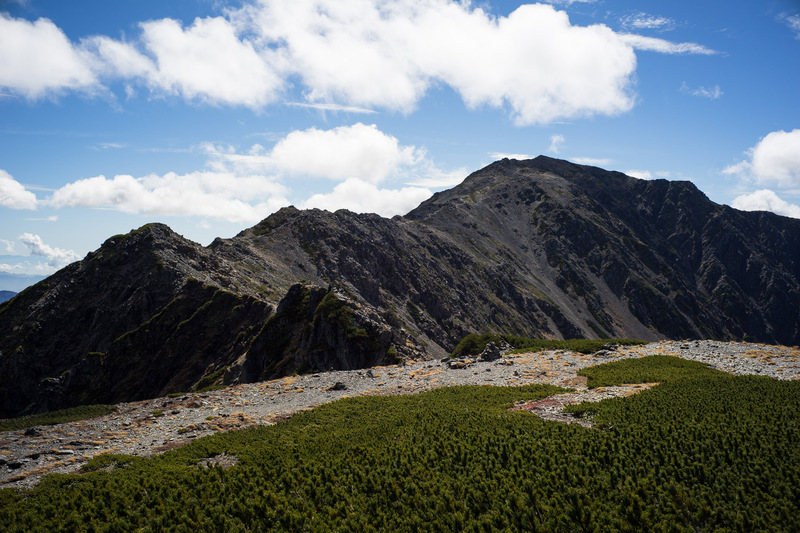 On the way to Mt Aino, I traversed multiple small peaks, one of those was Mt Nakashirane (中白根山) at 3055m. 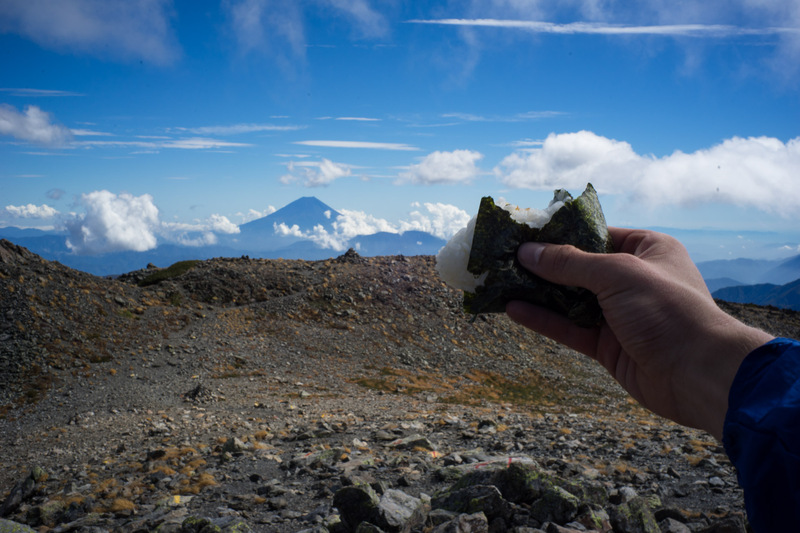 I had a quick Onigiri before heading back the same way towards the summit of Mt Kita. 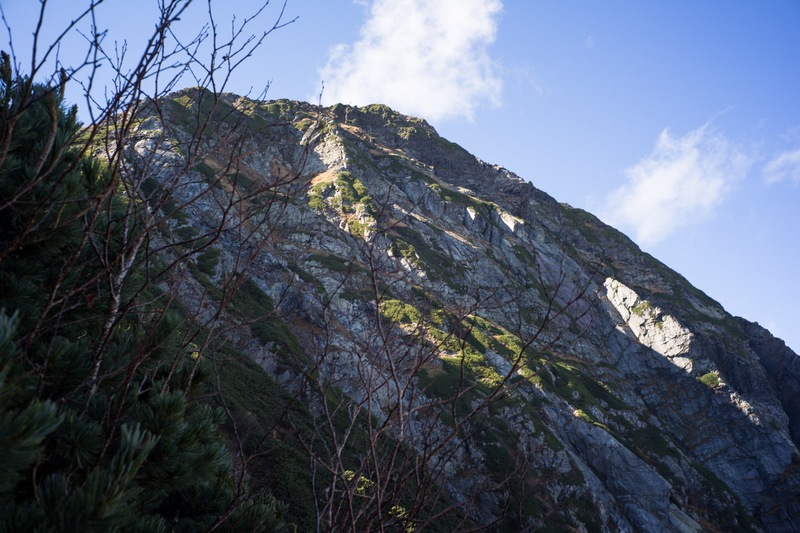 And signs where you should not go, as there is a steep drop behind. Looks a bit deceiving to non-Japanese people sometimes I think. 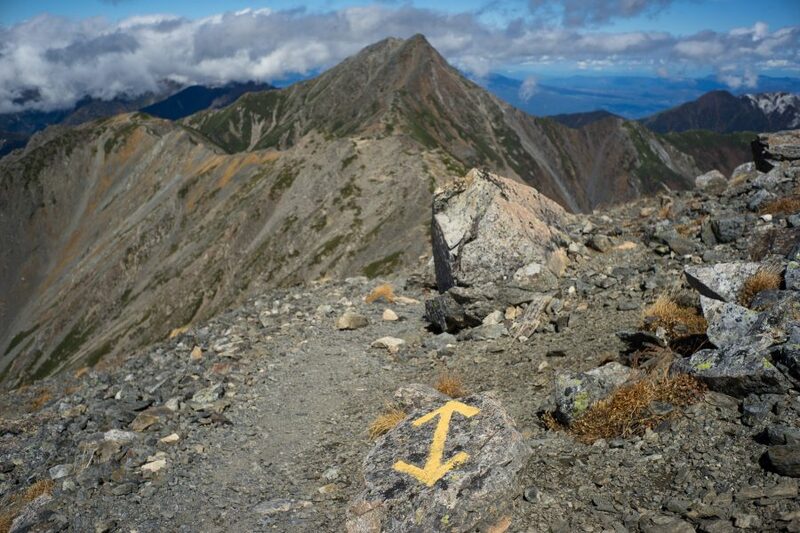 In Europe trails are sometimes marked in red colour and crosses are not uncommon as trail markers. In Japan though, a cross means “NO” while a circle would mean “YES”. 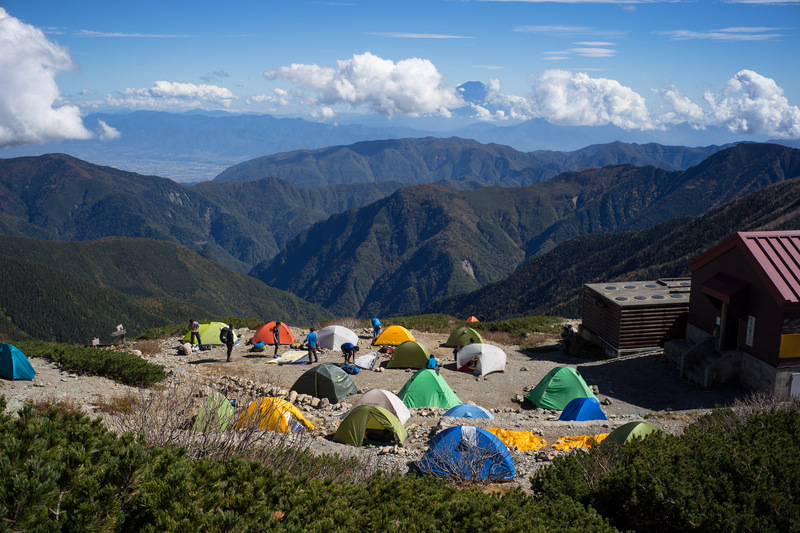 Shortly after, the camp ground has already significantly filled up, and Mt Fuji (富士山) almost vanished. Down on the other side, fall colours were readily coming through already! 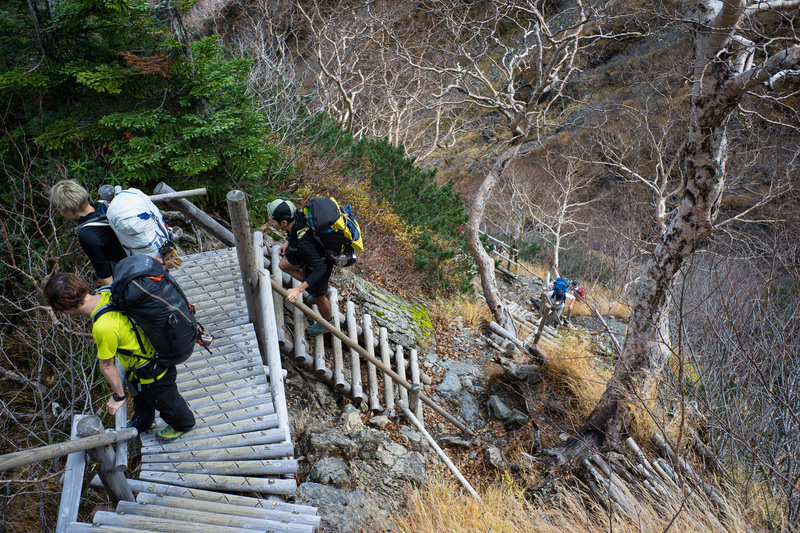 The climb all the way up to Mt Kita (北岳) took a little longer than anticipated. 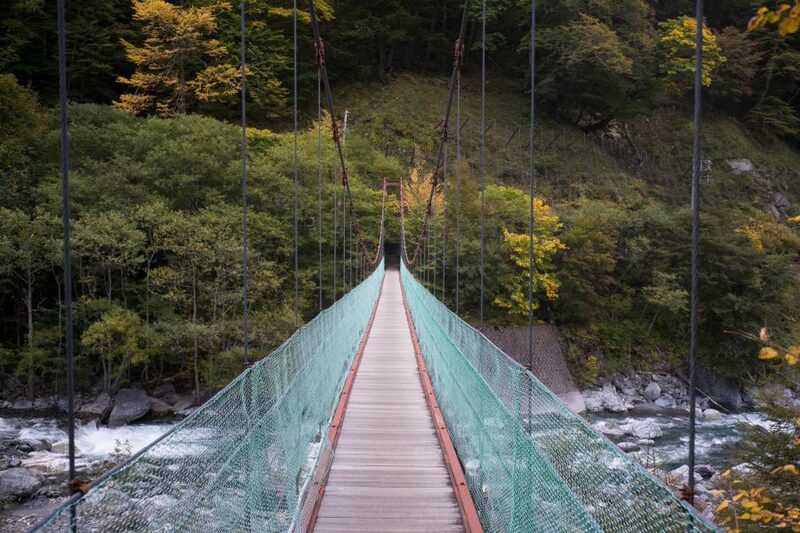 Mostly, because on the upper parts there are sections which are one-way only and secured by metal rails/ropes. 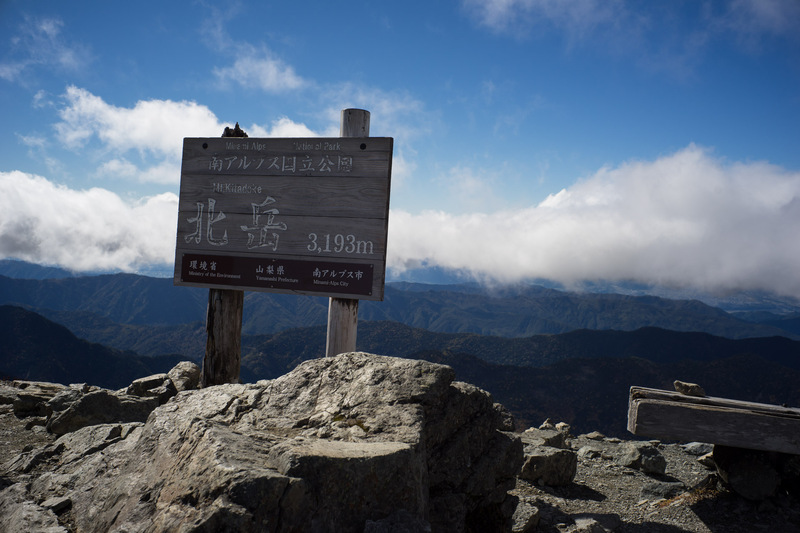 Finally arrived at the top at 13:30 and met a nice Japanese guy, who is also from Sendai there. I got going almost immediately after having a bite to eat to catch the bus 3h later. 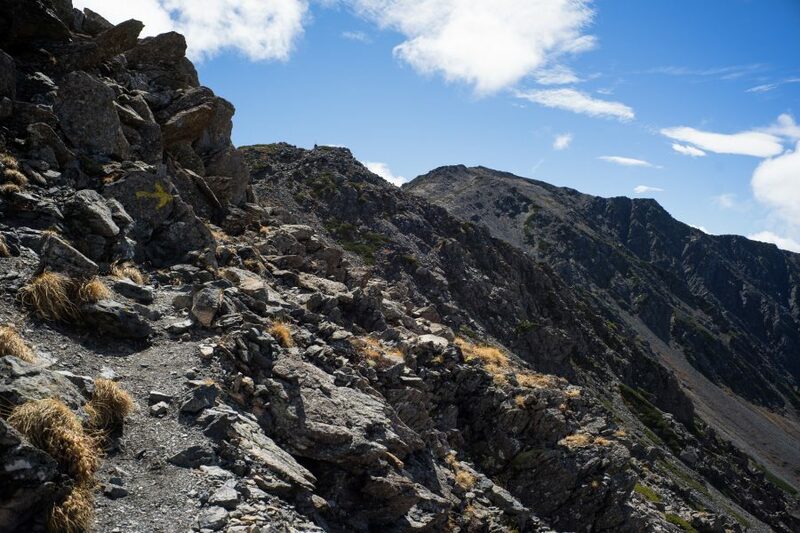 The view back towards the Hut / Mt Aino was stunning! The view up the buttress of Mt Kita (北岳), which can also be free climbed. 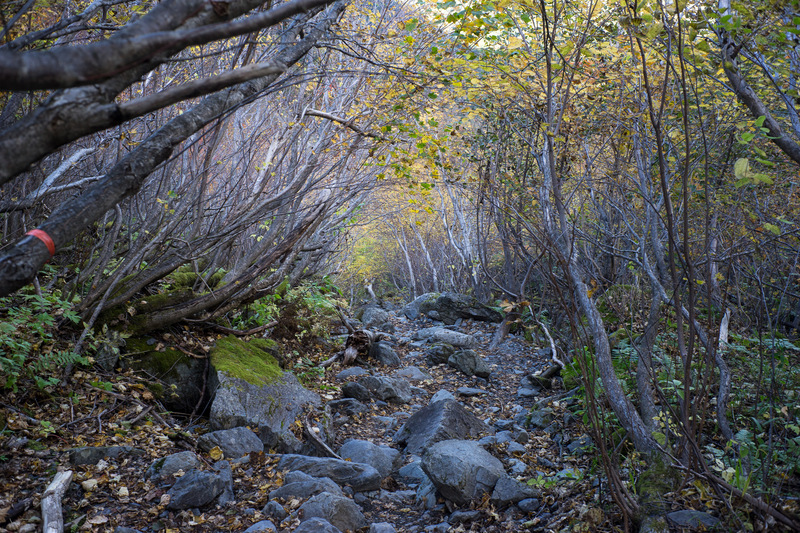 Hurtling down the mountain I soon arrived back in the forest. 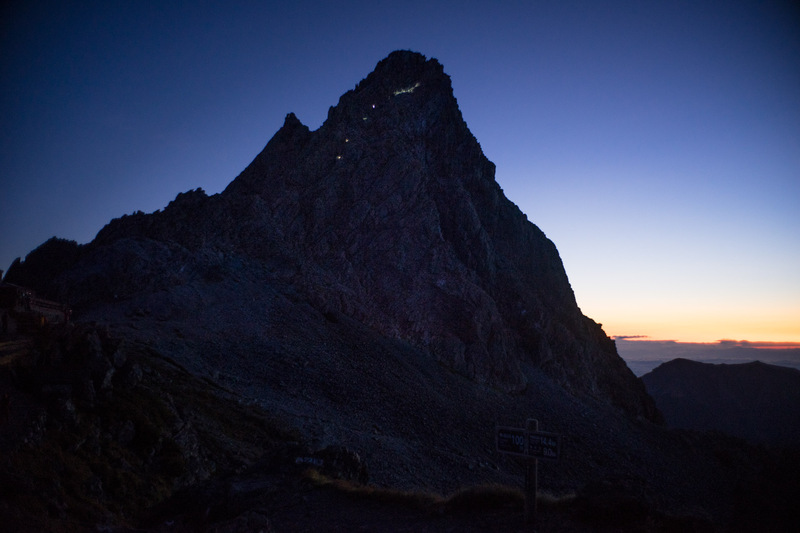 I met only 2 people on my way down – most people stay overnight in the hut or camp. It was very serene coming down, albeit I was terribly tired. 25.9km later and 2300m of cumulative elevation gain I finally reached the bus stop 15min before the bus departed. 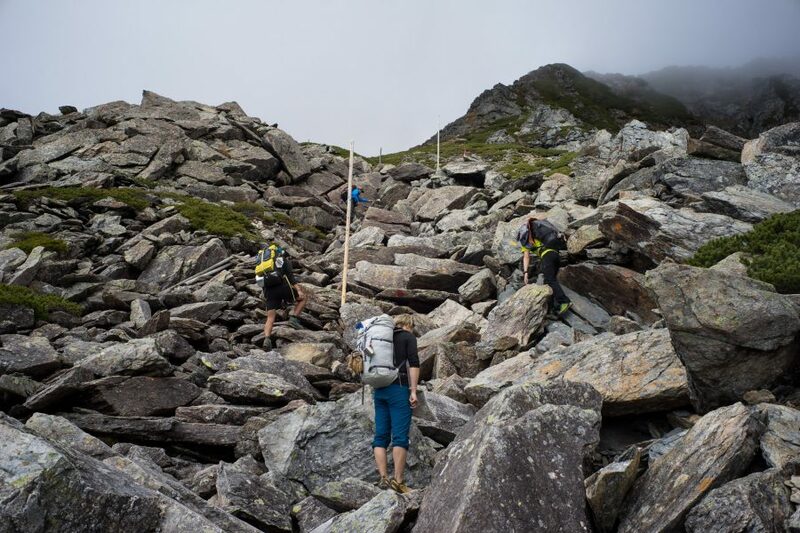 It was a great trip all around – I’m happy to provide more details/the GPX track for it. The Japanese government maps can be found here. 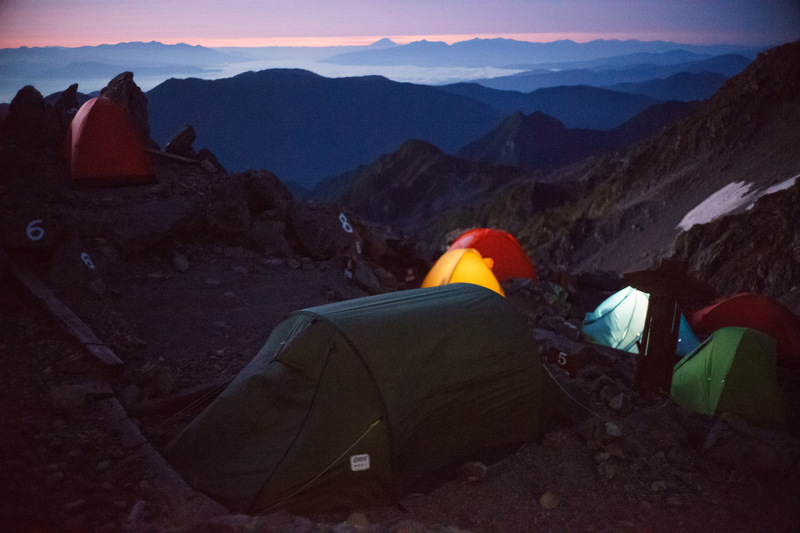 If I were to do it again, I would definitely stay one night on the camp ground though, if only to see the sunrise next to Mt Fuji while waking up!